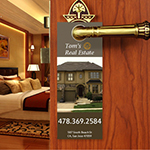 The Every Door Direct Mail popularly known as EDDM, is a great way to promote your business. EDDM is a service offered by the USPS which allows businesses or individuals to target the specific neighborhoods in low cost without any mailing list.This advertising strategy makes customer interaction very easy and cost effective. Our custom flyer printing also comes in different sizes and folds. The EDDM is a service that is provided by the USPS which allows the businesses to target the specific areas to advertise cost effectively. Our official business letterhead printing is one of the professional ways to send out the business letters. Printing Xpert provides the clients with full service from creating the mailing list to dropping off the mailing list at the UPS designated office. You can select an an area to deliver to through a zip code, an area around a certain address, or a specific postal carrier route. Your mail piece gets delivered to every address or every door in that area. 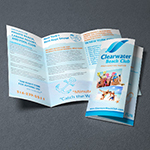 By using full color 6.5x9" EDDM printing direct mail, you can save money and increase your clients. 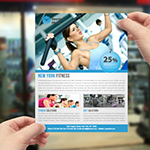 EDDM printing is an easy and low cost advertisement method for small businesses. If you want to make your EDDM more attractive, you need to make sure that you are properly designing your flyers in a manner that could attract more and more clients to your business or products. Here at Printing Xpert, we offer EDDM direct mail printing for businesses and professionals such as our EDDM flyer printing for dental offices too. This is a popular way to notify residents of the area of a nearby dental office they may be searching for. It is an ultra heavy card stock that is coated on both sides with a special gloss layer. Coating or UV Coating are separate options and are not affected by this. Such coating offers better ink absorption and hence artwork definition. EDDM provides a cost-effective tool for saturating a localized area and delivering your marketing message directly into the hands of consumers. It is ideal for targeting specific geographic areas. Developed by the USPS, Every Door Direct Mail Service enables your small or big business to send out postcards to promote a target audience. EDDM helps you do this without the need to purchase a mailing list or print specific addresses on your mail pieces. This helps explain your marketing message to your target audience right away and it also reduces mail preparation costs. A successful promotional mail program that keeps your company’s overall marketing objective in mind. While programs such as EDDM service make local marketing so easy, it may be tempting to launch a campaign without thinking it through. 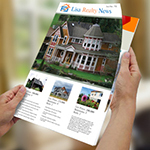 It has been said that 50% of direct mail success depends on your mailing list. One of the unique qualities of EDDM is that you do not need names and addresses. 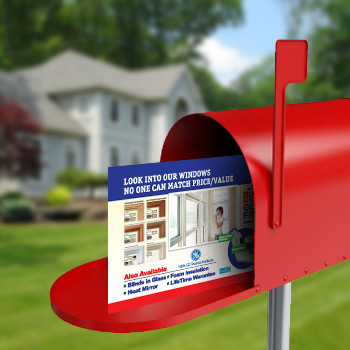 Your promotional mail piece is delivered to every home and/or business of a designated area. It’s an ideal way to saturate a specific geographic area. Decide what you want your recipient to do and then create an appropriate call to action that inspires them to do it. Be direct and succinct. Whether it’s “Buy One, Get One Free” or “Save 50% on Friday” let them know right away what’s in it for them by creating headlines that capture their attention. Successful promotional mail campaigns do involve a little time and effort. But once the planning is done, you can count on EDDM printing services. I decided to start my business online but promotion for my business was expensive. So my friend told me to try EDDM printing services and believe me after using the services I really started to increase my customer and I opened my own store today. My products advertisement with discount prices went well through EDDM printing services. Low cost and effective, I suggest using EDDM printing services for your business, products, promotions etc. We charge shipping by the weight of your order plus a processing fee. Shipping and processing fees are designed to compensate. Printing Xpert for its shipping costs and helps offset the expenses related to receiving and processing orders, maintaining inventory and warehousing. 16 pt is an ultra heavy card stock that is coated on both sided with a special gloss layer. Coating or UV Coating are separate options and are not affected by this. Such coating offers better ink absorption and hence artwork definition. This is a heavy duty stock with "ultimate" shine that features a fade-resistant extra UV coating that gives more protection to the card. UV coating is applied as a separate finishing. Product: EDDM Post Cards 4"X 6", 5" X 7", 5.5" X 8.5"
You can view an 1st PDF or Jpg FREE proof that will allow you to double-check the Artwork, Text, Image Resolution, Color, Spellings and Fonts.